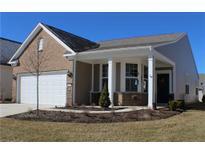 Below you can view all the homes for sale in the Britton Falls subdivision located in Fishers Indiana. 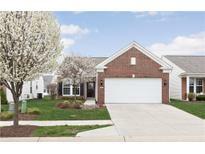 Listings in Britton Falls are updated daily from data we receive from the Indianapolis multiple listing service. To learn more about any of these homes or to receive custom notifications when a new property is listed for sale in Britton Falls, give us a call at 317-987-2530. 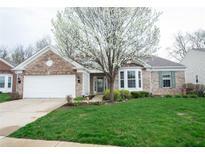 Easy access to I-69, Hamilton Town Center MLS#21632795. F.C. Tucker Company. Live the good life, you've earned it! MLS#21635726. F.C. Tucker Company. Built in 2017 on a fun, new street. Fabulous 55+ lifestyle! MLS#21630020. Liberty Real Estate, LLC..
2016: Gas Water Heater. Why build? MLS#21628813. Keller Williams Indy Metro NE. If you are considering a 55+ community, you must see this beautifully maintained home MLS#21626401. Marten Realty Group. When the day is over, nestle into your owner's suite with a spacious bathroom, custom walk-in closet & double vanities. MLS#21626307. RE/MAX Legends Group. Enjoy the benefits of living in this 55+ Del Webb community in this perfectly maintained home. MLS#21623083. F.C. Tucker Company. Master Suite has large walk in closet and Master Bath with double Sink Vanity, Garden Tub, Tiled Shower, Linen Closet & Water Closet. Great opportunity-why build? MLS#21619506. Keller Williams Indy Metro NE. Why build? This one has it all! MLS#21617968. Keller Williams Indy Metro NE. Upstairs with loft, 4th bedroom, & full bath. 2 car garage w/ extension. MLS#21618061. CENTURY 21 Scheetz. Beautiful sun room and flex room for office or living room space. MLS#21618049. CENTURY 21 Scheetz. 2-car garage with 4' extension. Excellent location! MLS#21618062. CENTURY 21 Scheetz. The real beauty of Britton Falls is the Chateau amenity center as you enter the community. MLS#21604715. RE/MAX Ability Plus.